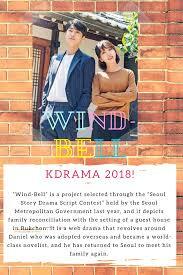 Synopsis: Set in backdrops of Seoul’s most popular tourist spots including Han River and Bukchon, it is a story about a writer, named Daniel, who was adopted to the US when he was 10 years old, coming back to Korea after becoming a world-class novelist. He decided to come back to Korea to meet his family including his mother who had no option but to put her son up for adoption. While he traces back in memory, he meets Yeo Jin, the editor helping Daniel with the publication of his book in Korea and the two soon realize some undeniable chemistry between them.